If you look at any specialty sushi section of any Japanese menu in the western world, you will notice a majority of the ones listed have avocado in them. What a lot of people do not know is that Avocado is a foreign ingredient in Japan and is not used commonly in their rolls. 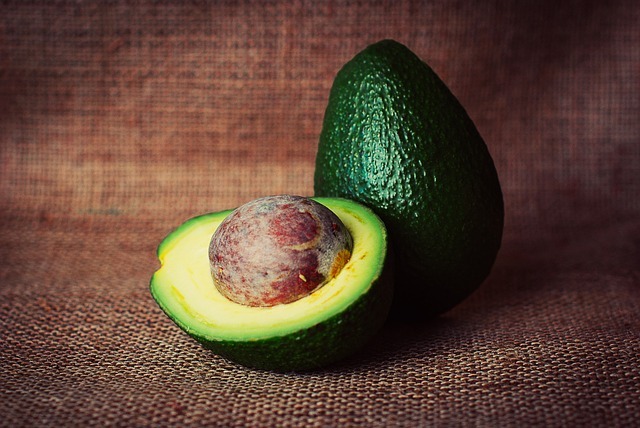 Why has avocado become a popular and important ingredient especially in North America? It all started about 45 years ago when a Japanese Chef in the Los Angeles area had trouble finding Toro. Toro is known as the fatty area of the tuna and the taste is described as buttery smooth. Furthermore, the Toro is divided into even more distinct area of the fatty part known as Otoro (Under fish area & is the fattiest) and Chutoro (belly area). 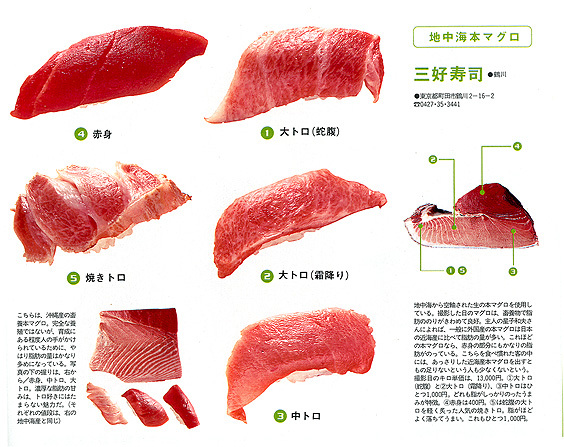 In the image above, Otoro is number 1 and 2. Because Toro was difficult to find during that time, the Japanese Chef discovered Avocado which is an abundant fruit in California and a popular ingredient in many Mexican dishes. In a way, it was discovered as an impressive substitute thus it origins started in California, U.S.A. 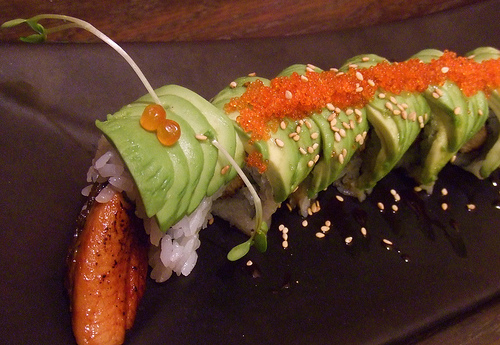 The Different Sushi Rolls with Avocado! 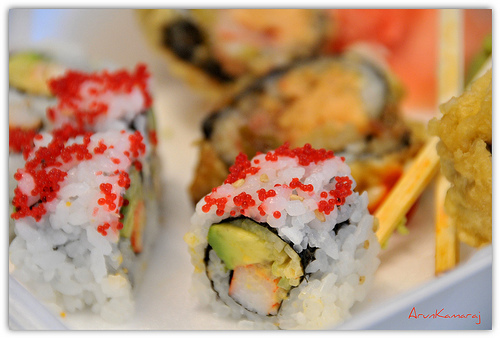 When the avocado was implemented as a replacement for Toro, many specialty rolls started to use the fruit and one of the many first, if not the first, is the Avocado Roll and California Roll. What is interesting is that you would think the California Roll originates from California but it was actually invented in Vancouver Canada. 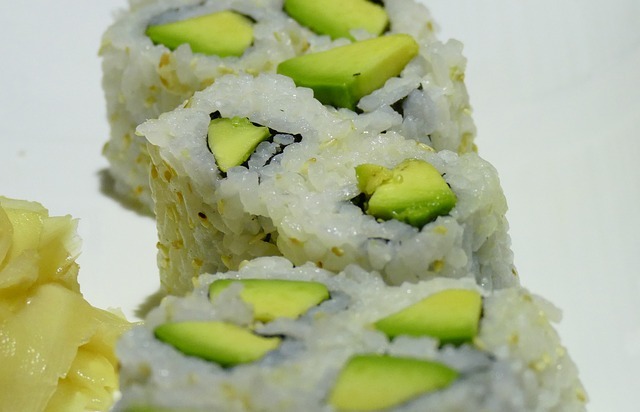 Avocado Roll is a pretty simple roll as it is self-described as it only has avocado and rice. The California roll has avocado, crab (fake or real), and cucumbers. This roll has to be the most influential rolls in the world and has helped catapult the Japanese food craze outside of Japan many years ago. The Caterpillar Roll is more of a expensive roll but the most well-known sushi roll in the 9 to 14 dollar range. For more detailed information on the Caterpillar Roll, click here to read our dedicated article on this specialty roll. Avocados are known to have many nutritional values and are the only known fruit that delivers a vast amount of healthy fats (monounsaturated). This fatty fruit also includes close to 20 different minerals and vitamins. Some of the well-known benefits that the fruit provides are maintaining cholesterol levels, protection against Osteoporosis from the high amounts of Vitamin K, reducing the risk of cancer and improving vision just to name a few.